Perfect for: Palates seeking rich and intense flavours. Growers of all levels who want to grow as many times as possible in every season. Critical Jack Autoflowering is the powerful autoflowering version of one of the tastiest strains in our catalogue: Critical Jack. This amazing cannabis seed keeps the special scent of the original strain intact and adds all the amazing advantages of autoflowering genetics, making it faster and easier to fill our pantries with top-quality smelly buds. Born from the cross between our Critical + 2.0 elite clone and our Haze 2.0 Autoflowering, Critical Jack Autoflowering is the pet strain of the entire Dinafem Seeds team; a real cannabis jewel that all growers should try at least once in their lifetime. Critical Jack Autoflowering turns into a marvelous mid-sized, branchy and fir-shaped marijuana plant with medium distance between nodes. Critical Jack Auto is happy to receive all kinds of attention. In fact, if looked after a bit, she’ll deliver incredibly generous crops of dense and elongated resin-packed buds. Who said the taste of autoflowering genetics was worthless? This automatic hybrid was born to put an end to those rumours and one puff was enough to overturn any prejudices once and for all. So much so that her intense flavour with hints of citrus, cedar and spices has turned her into one of the favourite strains of extraction lovers. This strain is, without a doubt, the perfect autoflowering for thrill-seekers. Her effect is balanced, physical and cerebral, and produces a very strong sensation of muscle relaxation. An outstanding plant that is ideal for consuming before a relaxing massage late in the day. She’s just perfect for those cannabis growers looking for a safe bet, quality and velocity, all at once. In fact, in just 80 days and without devoting much time and effort to the growing process, this Dinagirl will be ready for harvest, all healthy and vigorous. Thriving both indoors and outdoors, Critical Jack Autoflowering is capable of delivering more than one crop in a year if we live in a region with warm and long summers. A quick and easy way to increase profits. Should we decide to cultivate outdoors, she’s ideal for guerrilla-style growing and for cultivating in remote areas. However, given her size and strong aroma, she’s not the most discreet plant and could raise suspicion on the part of our neighbours. Indoors, we recommend a 20/4 light cycle with 600W HPS lamps if we want this cannabis jewel to show her full potential. The amount of fertilization Critical Jack Auto is capable of taking up can be a bit higher than the range indicated by the manufacturer. Apart from that, a couple of tips: add 1/3 of coco coir to the substrate to accelerate the metabolic processes of the plant and water frequently but sparsely. A great strain to grow, she performs so well under low light conditions and even better in higher lighting up to a point. My plant I grew pretty much took care of her self, buds started to really fatten up around week 9-10 from germination, with some really fantastic trichromatic development coating the surrounding raceme-Bud inflorescence. The soil mix I used was 40% Bio terra plus 20% lava soil 20% compost 10% wromcastings 10% hempbedding. Amended with 2tsp of egg shells crushed, and 3G of mycorrhizal fungi propuguales, and finally 25ml of eco thrive charge. I even had a major problem with fungus gnats a one point, the nematodes handled them whilst my plant stayed strong. I used 80w LED up to week 8 (only lights I could afford at the time) and I upgraded to 600w LED on week 9 which made a big impact on my plant coming into flower...Anyway apart from that it was a lovely smoke also and I would highly recommend this strain to anyone who wished to grow good quality auto flowering cannabis. Great work by DINAFEM, Thank you! 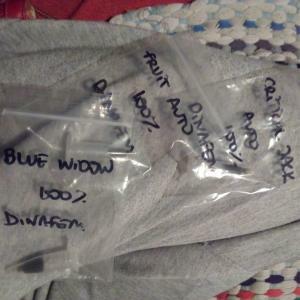 My first grow a few years back I ordered some photo-period seeds from other banks and got a free Dinafem Critical Jack Auto seed with it. It was the first seed I planted, hoping I could get some quick bud before my photos were done. As a beginner, I had no problems whatsoever growing this plant. While my grow conditions were certainly less than ideal, and my other strains had some mold issues, the Critical Jack Auto thrived into a beautiful plant with an amazing pine/citrus smell. I pulled 2.5 ounces dried and cured of some of the tastiest, dense buds I've had to date from one auto plant - all in less than ideal conditions indoors as a complete newbie. I would recommend this strain to anyone; especially beginners looking for an easy-to-grow strain. I'm from Turkey and got my seeds within 10 days -super fast delivery and well packed. I can very highly recommend them, you wont be disappointed! 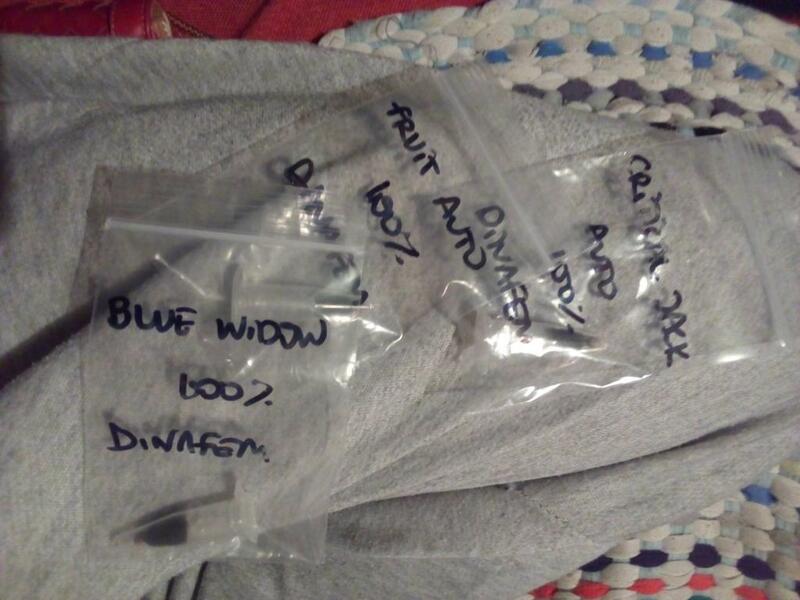 I bought 3 seeds and two failed ( probably my fault ) but Dinafem replaced them which frankly amazed me, but because of this great attention to customer s needs, I have just purchased from them again.Highly recommended. Such a change to find this service still exists. Thanks Bob. What do you think about Critical Jack Autoflowering?